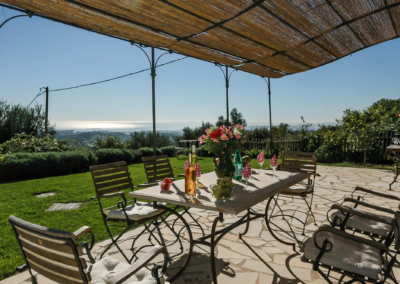 Villa Dufy boasts a stunning panoramic view over the famous French Riviera coastline encompassing Nice, Cap d’Antibes and Cannes to the Esterel mountains beyond. 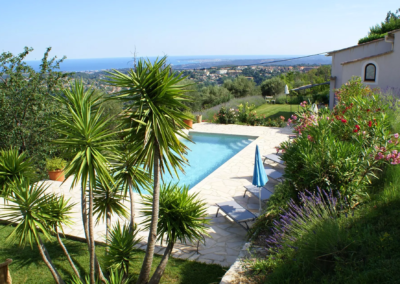 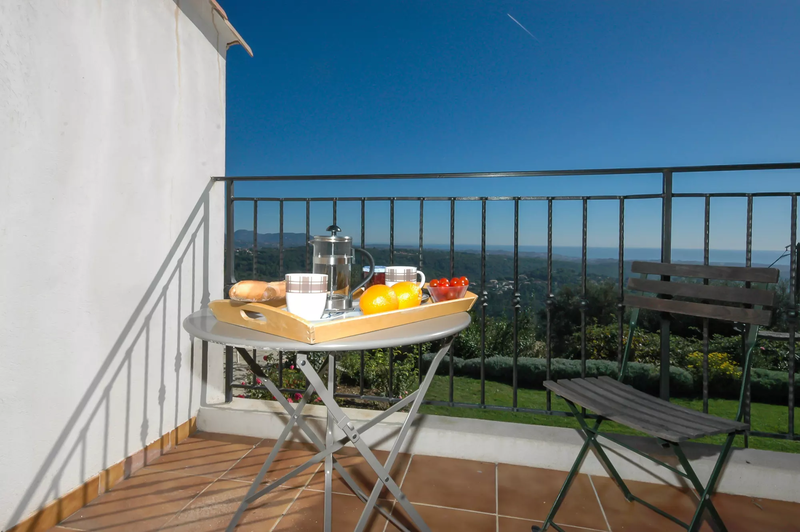 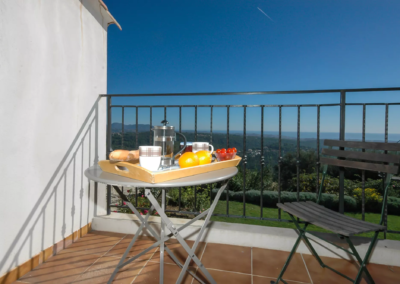 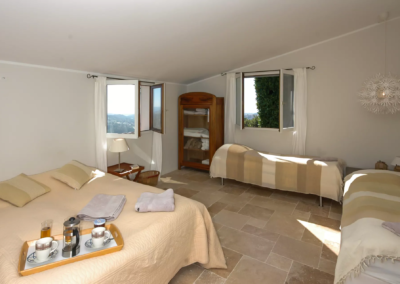 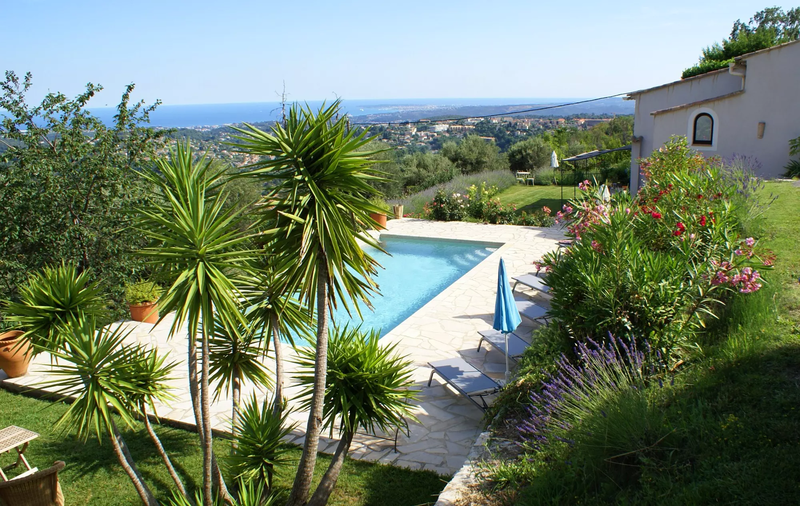 You can also enjoy the view from this Vence villa with pool – with the sea in the distance – from the south-facing sun terrace and from the salt water swimming pool itself. 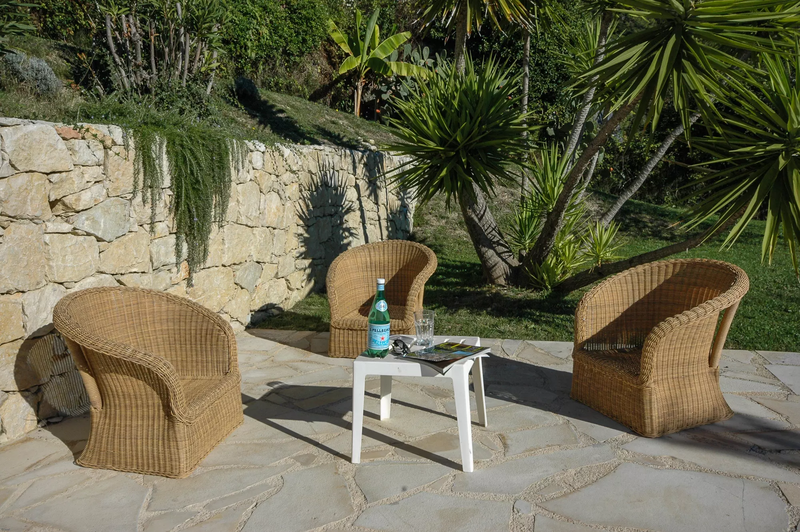 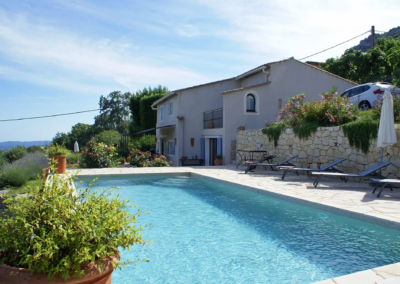 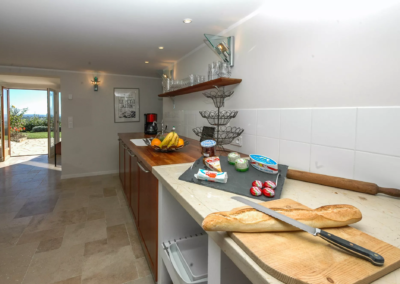 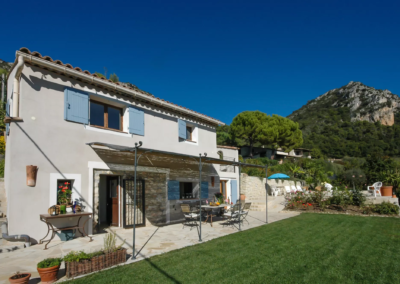 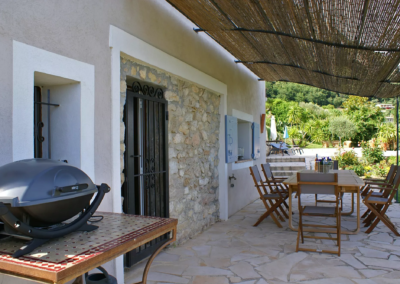 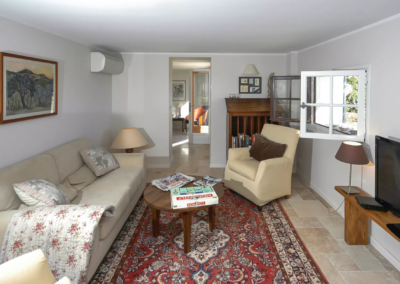 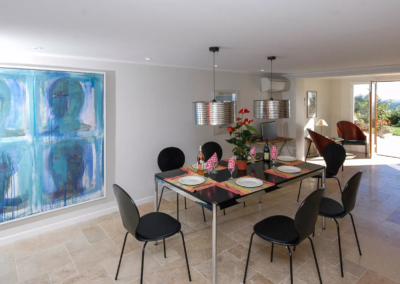 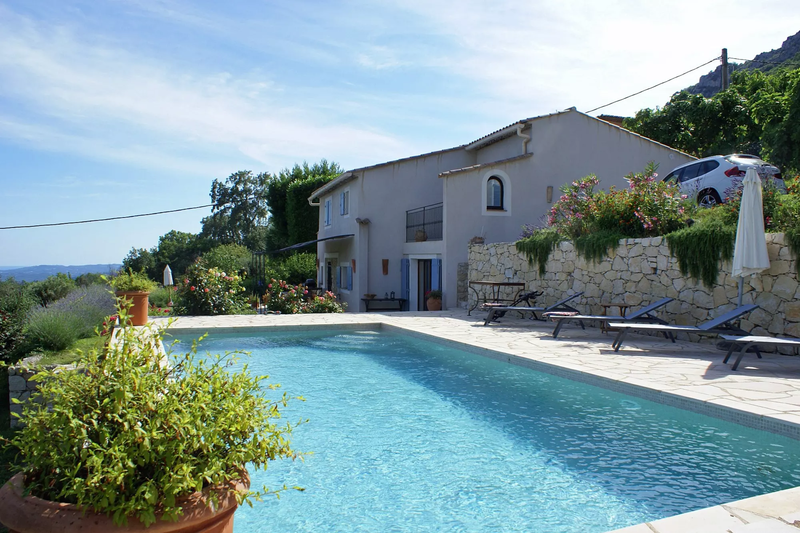 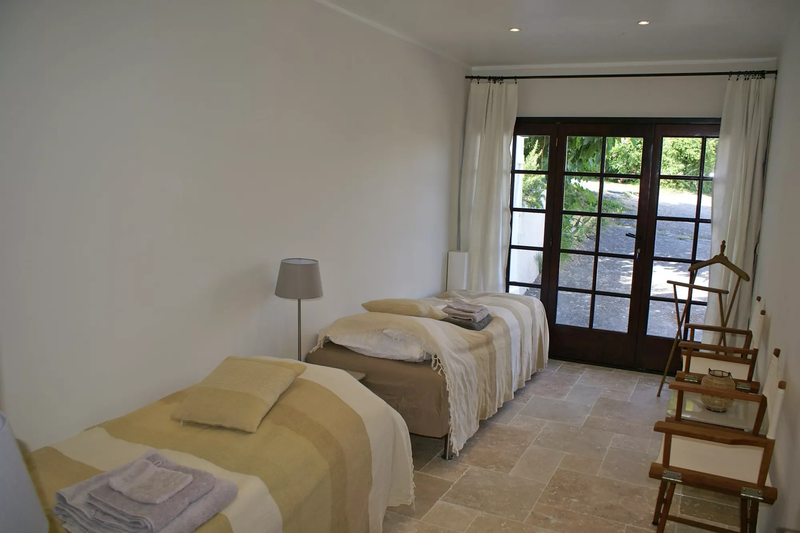 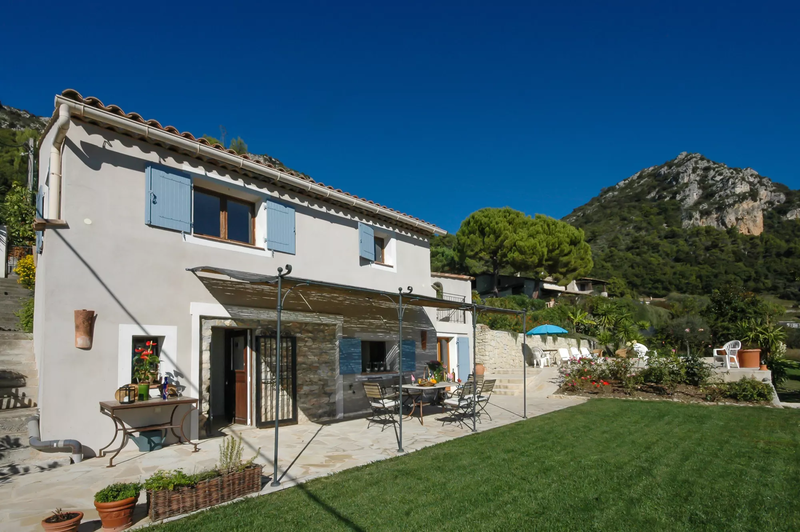 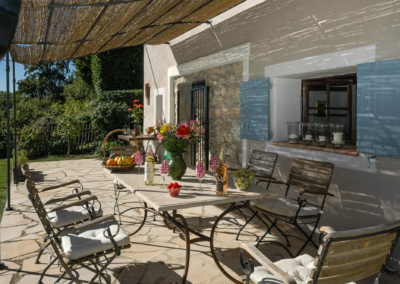 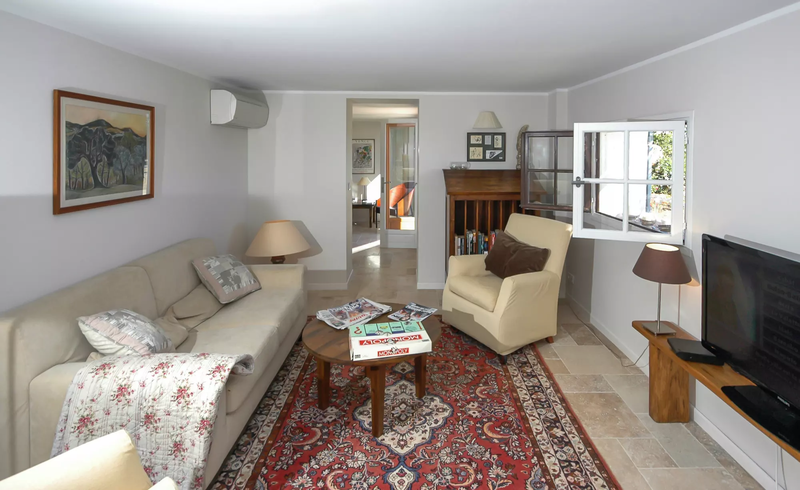 Located on the edge of the lovely medieval town of Vence, this very recently refurbished villa is light and airy and benefits from air conditioning throughout. 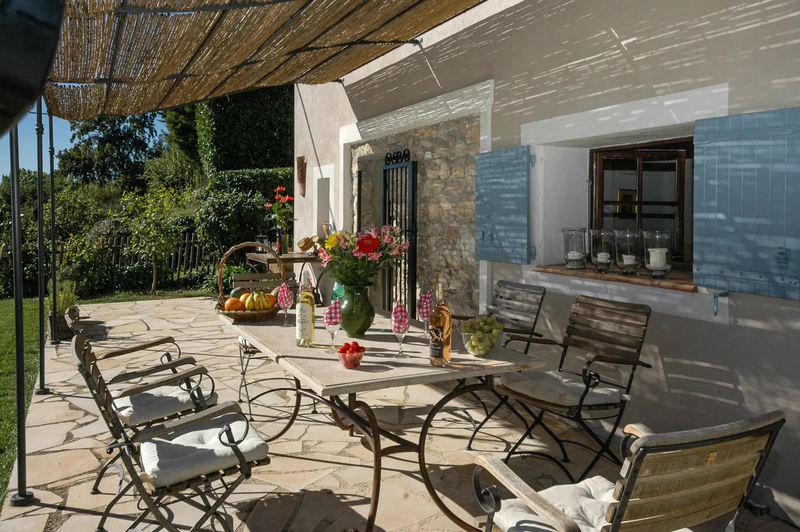 Vence is a great place to explore, with its winding streets and charming squares such as the Place du Grand Jardin and the Place Peyra: you’ll be spoilt for choice with Michelin-starred restaurants as well as little bistrots, pavement cafes and attractive shops and art galleries. 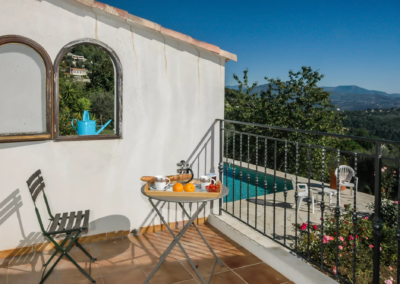 Famous St Paul de Vence, another enchanting medieval village with art galleries galore and exceptional restaurants, is just down the road. 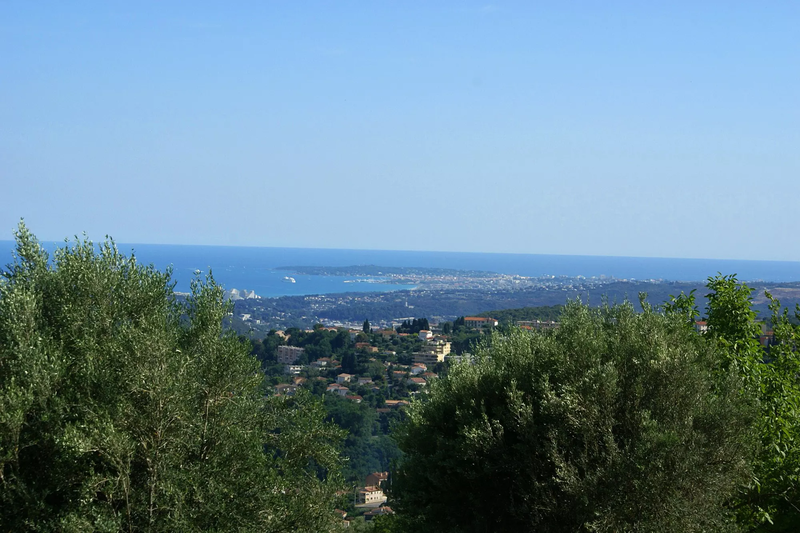 You may enjoy a visit to old Nice and its flower and produce market, followed by a stroll along the Promenade des Anglais gazing out over the Baie des Anges. 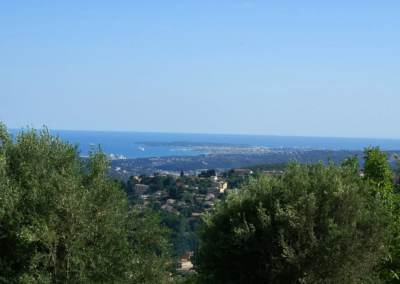 Antibes with its pretty harbour is very appealing, and you will find a good choice of beaches on Cap d’Antibes, including the sandy Garoupe Plage.Just a little further along the coast to the west is fashionable Cannes. 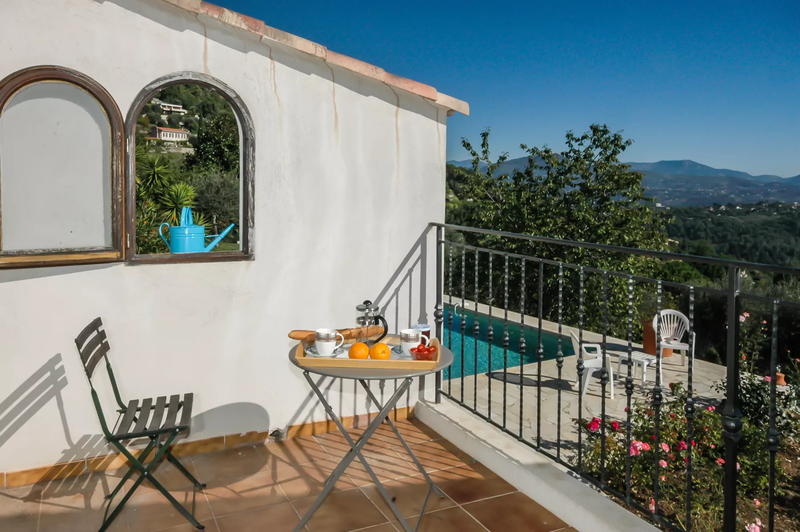 For a complete change of pace, a visit to the bustling perfume town of Grasse – and most particularly the evocative old town, makes a wonderful day out from this Vence villa with pool French Riviera. 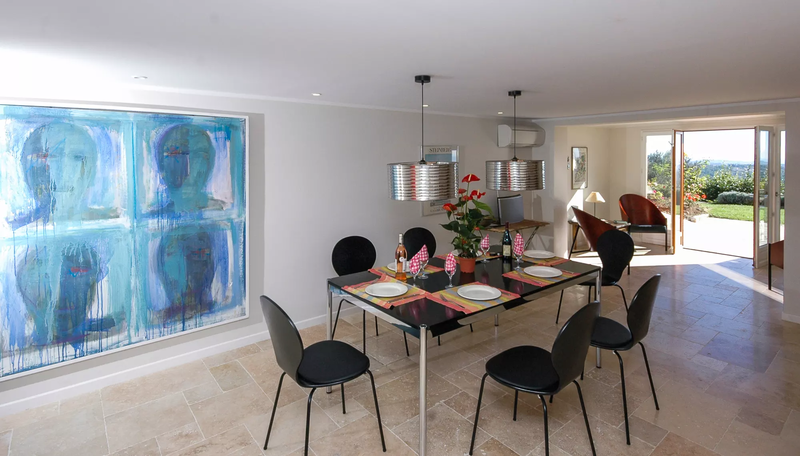 Open-plan kitchen-dining room with dining for 10, small sitting area, French windows opening onto covered terrace, garden and swimming pool, panoramic sea and mountain views. Study (extra fridge and ice machine). 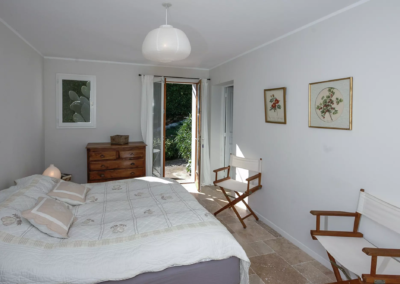 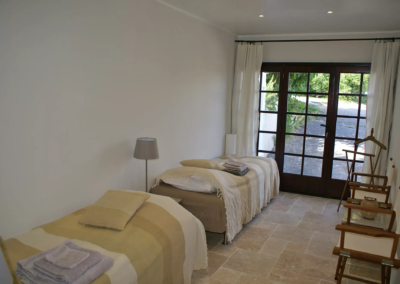 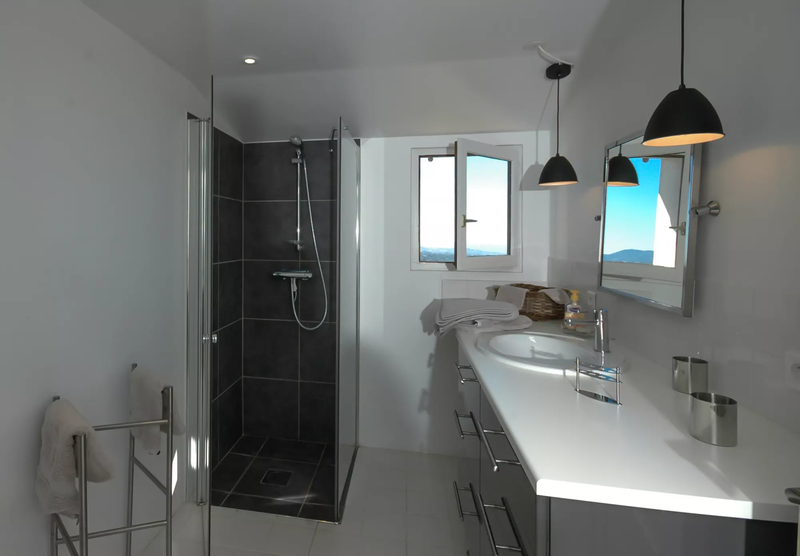 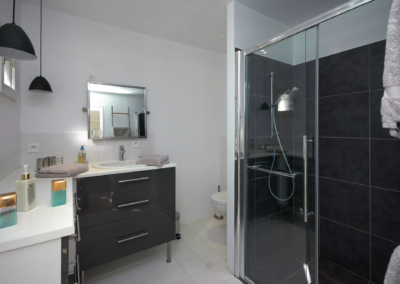 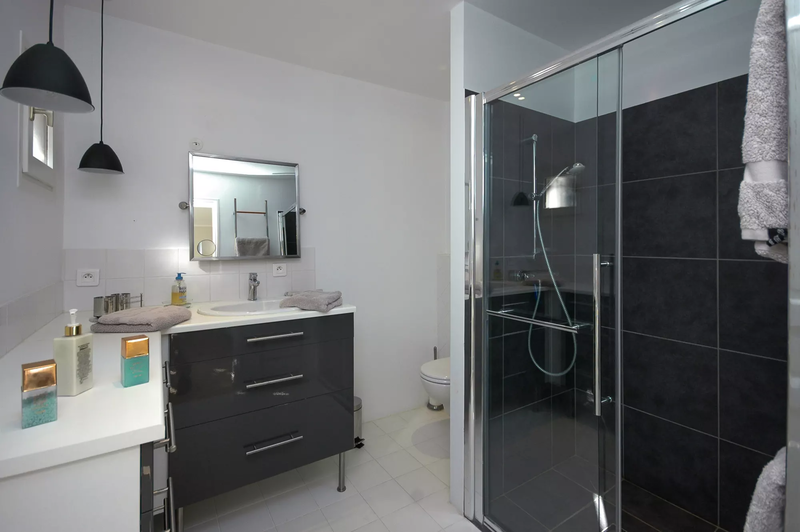 Double bedroom (1.60m) with patio doors to small terrace, ensuite shower room, WC. 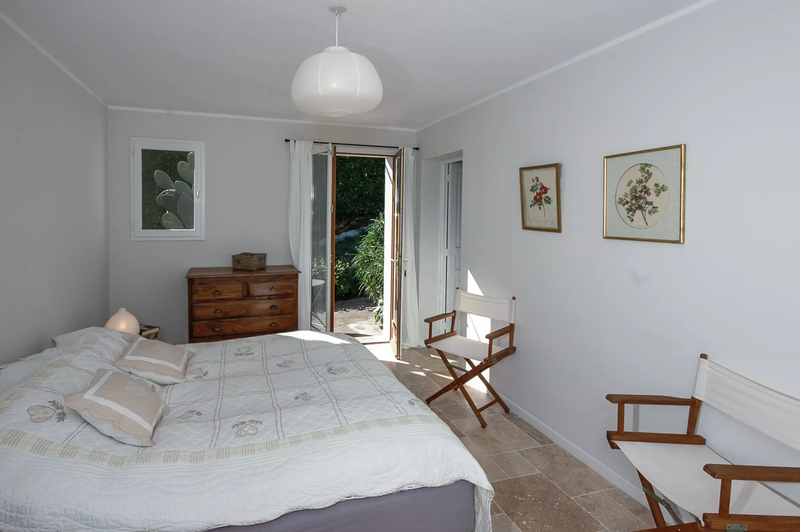 Family bedroom (1.60m and 1.40m). 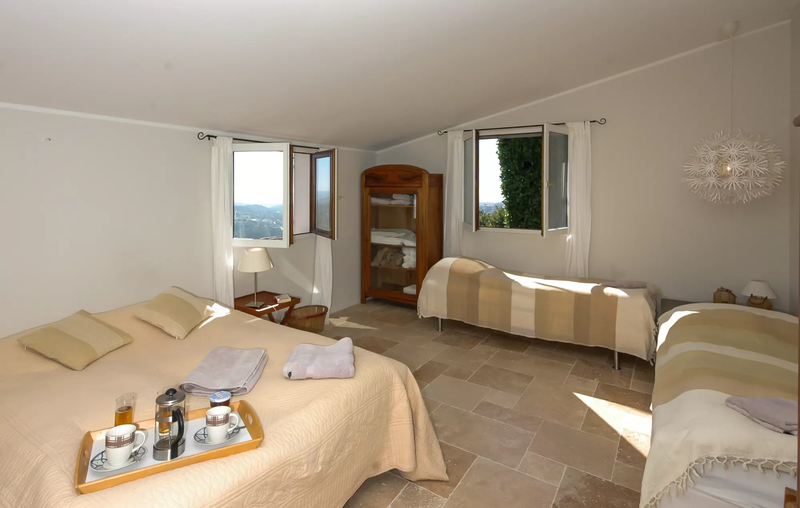 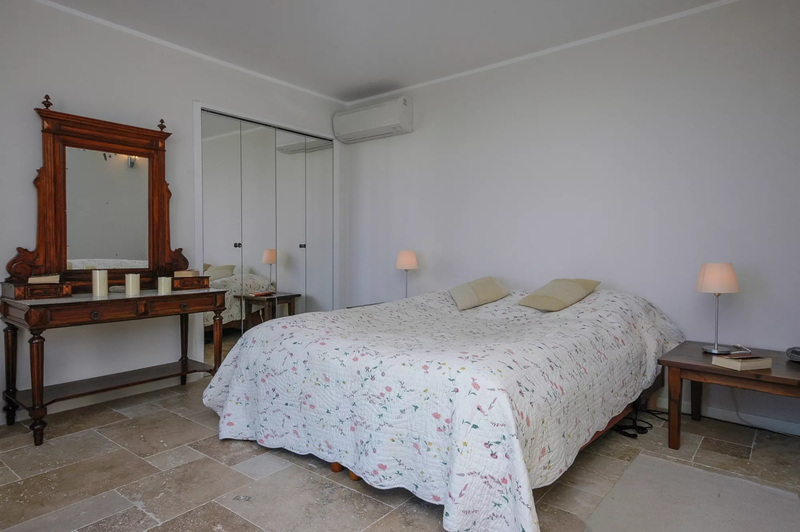 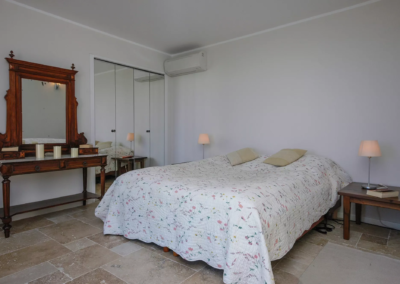 Twin/doube bedroom (1.60m or 2 x 0.80m), French doors and mountain views. 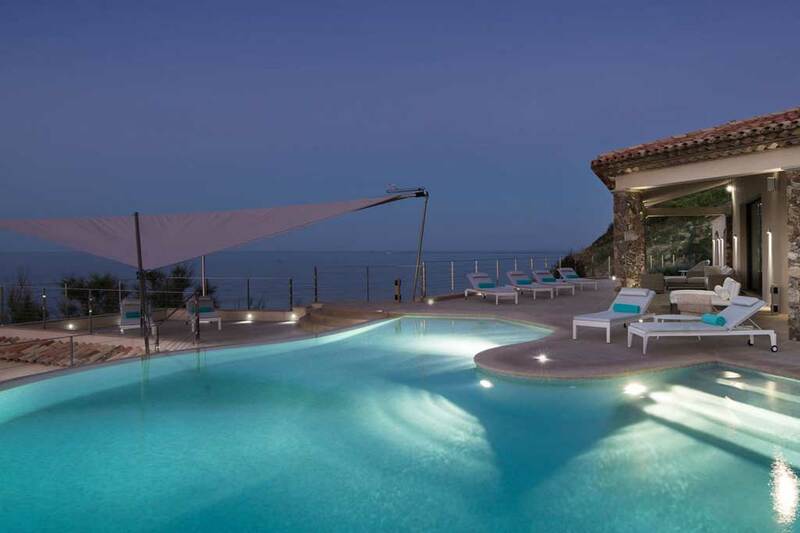 Master double bedroom (1.60m electrical elevation beds) with balcony & panoramic sea views. 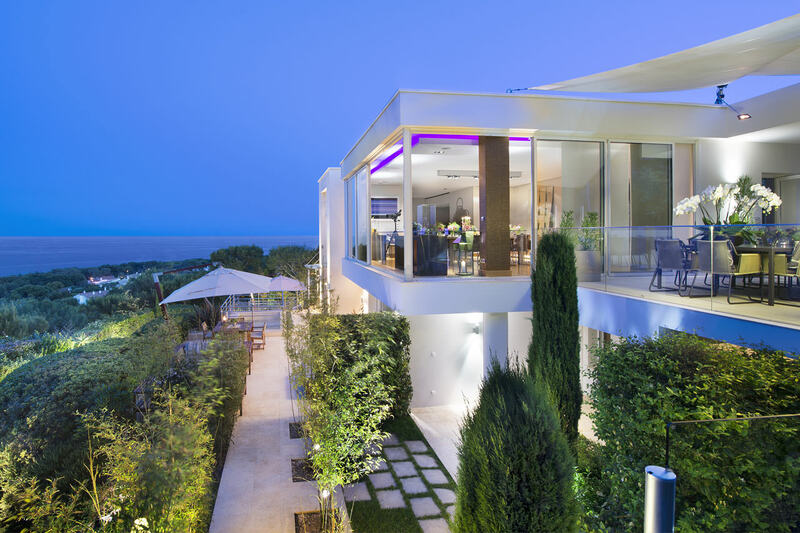 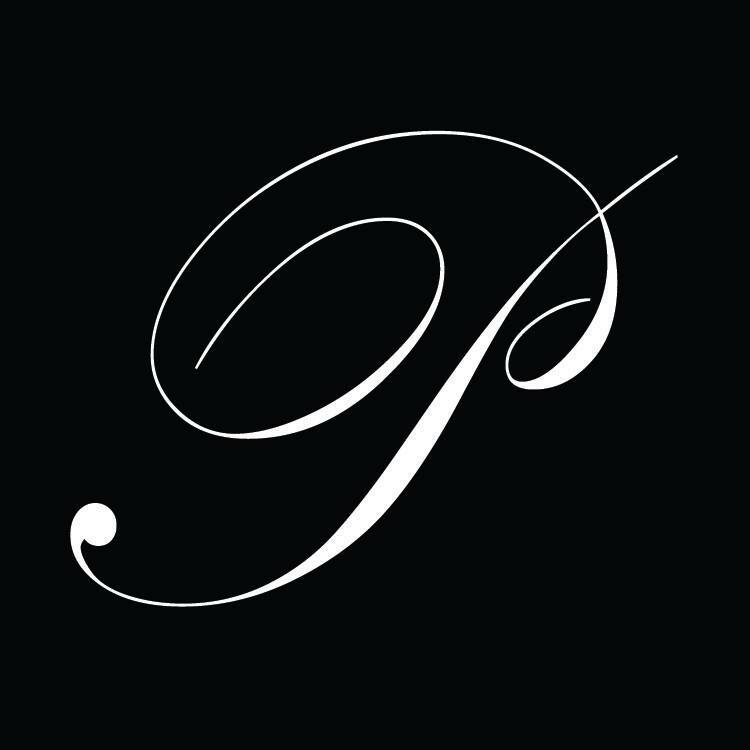 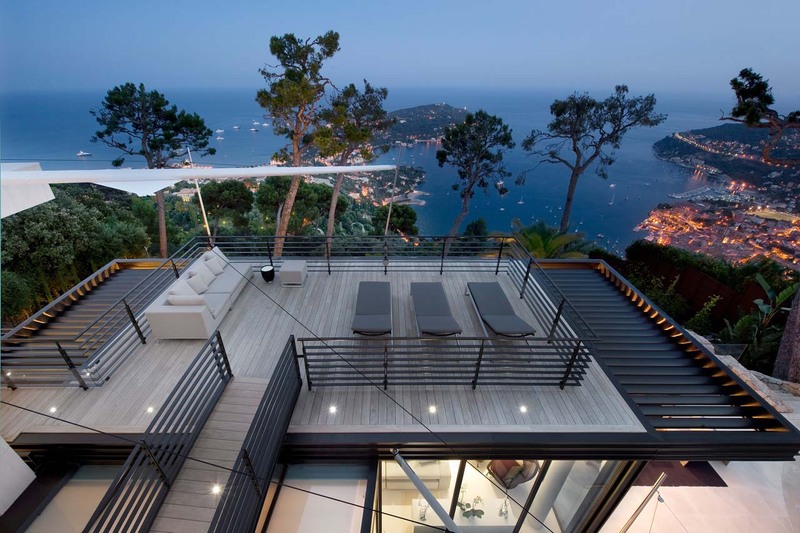 The contemporary, bright interior design, as well as the stunning sea panorama.